When I need a fast and easy dinner, pizza is my go-to meal. And no, I don’t mean take out. I buy either whole wheat or multi-grain dough, and then separate it into individual portions to freeze. So when it’s going to be a pizza night, I just have to remember to thaw the dough before I leave the house in the morning. This time, I thawed two portions of dough, and a box of spinach. 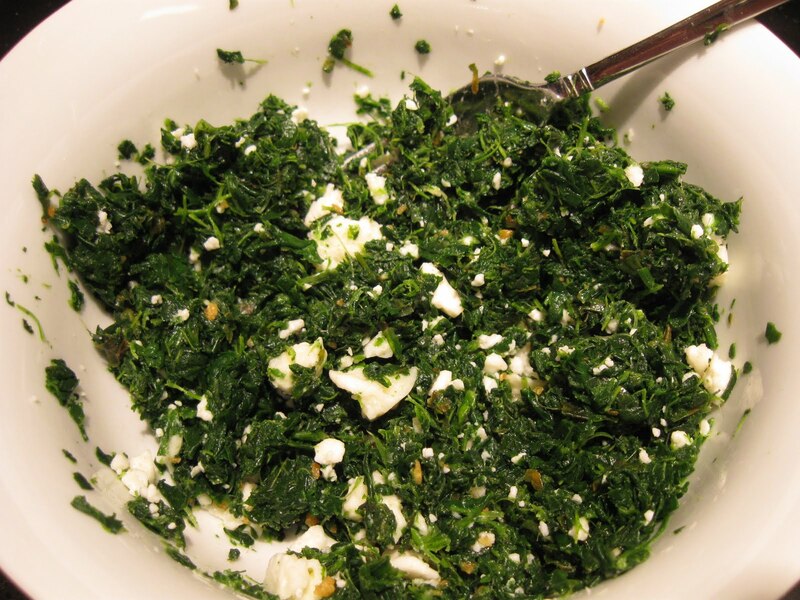 While the dough was resting on the counter under a towel, I squeezed the water out of the spinach, and mixed in a teaspoon of toasted Garlic Gold and a heaping quarter cup of feta cheese. 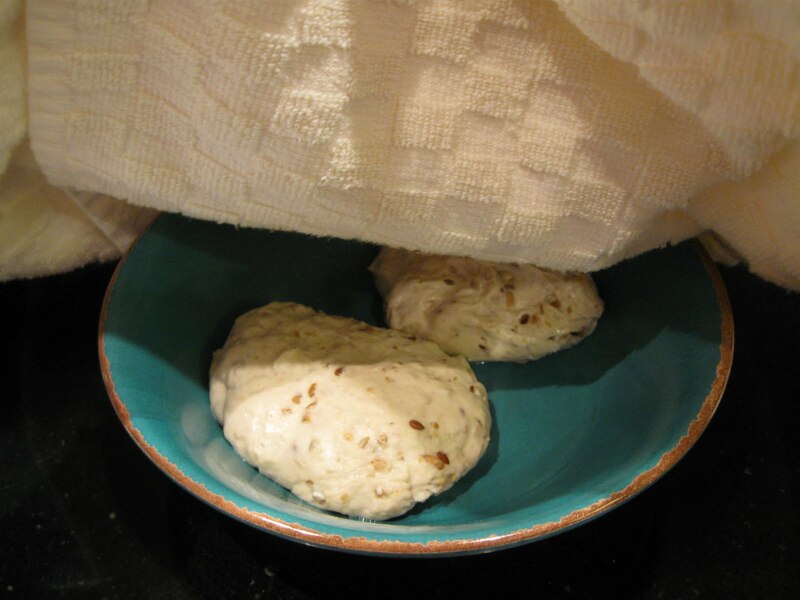 It’s important to let the dough rest for a bit so that it stretches easily. When the dough was ready, I shaped each piece into a thin circle, and then added the spinach-feta topping. After 12 minutes in the oven at 400F, it was pizza time. One for dinner, and one for tomorrow’s lunch. So yummy — a mini spanikopita! I accidentely dumped 1/2 cup of Feta into chopped broccoli last night. More people were willing to eat it then, so nothing went to waste! I love the pizza dinner! That Garlic gold makes anything tastier too..
Love spinach and feta and anything in pizza form is wildly delicious!